Receptor Multicanal 7.1. Ampificación 80 w x 7. 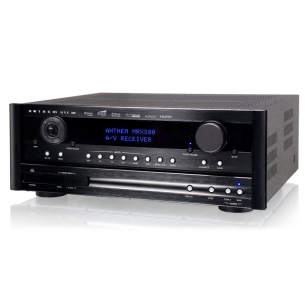 Dolby True HD, Dolby Pro Logic Iiz, DTS-HD Master Audio. 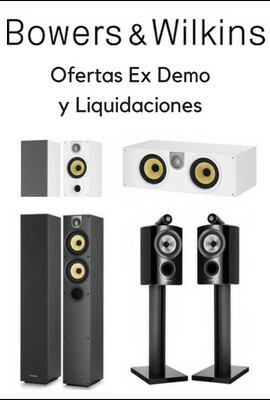 Anthem MRX300 Anthem Room Correction, incluído. 4 entradas HDMI 1.4- 1 Salida HDMI 1.4. 3D support. 1080p conversión con Deep Color. Zona 2. . Entrada de iPod/iPhone con OSD en pantalla. 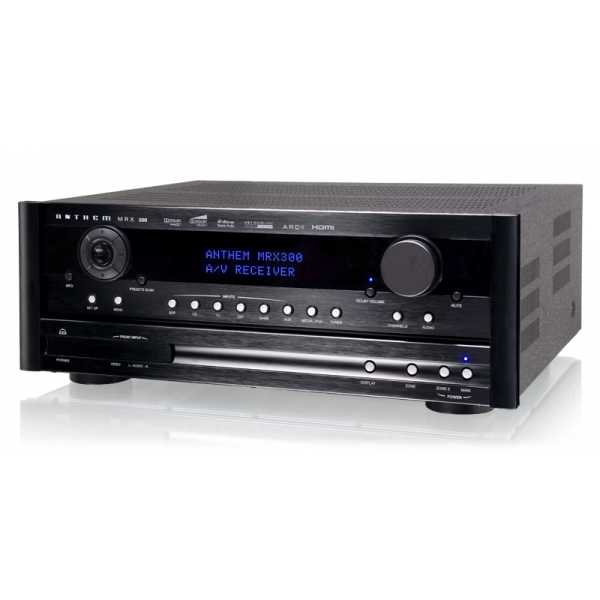 Receptor A/V 7x80w. Entradas, 4 HDMI 1.4a, 3 Optica, 2 Coaxial. AM/FM. Dolby Digital y DTS HD. Calibración ARC. Exclusive Anthem Technology … like the award-winning Anthem Room Correction included (see more on ARC tab, above). Price! Extraordinary for everything you get! ARC analyzes each speaker’s in-room response then sets output levels, crossover frequencies and room correction parameters for each one. ARC applies Super-Efficient Infinite Impulse Response (IIR) filters in addition to Anthem’s custom topology … all that means no ‘engine’ noise, this baby runs quickly and quietly. Unlike other room correction systems, ARC allows for multiple microphone measurements, that way everyone in the room gets a better listen, not just those sitting directly between the speakers. Separate configurations for music and movies. Applies correction to peaks and dips in room response – since rooms have both we get a far more natural and accurate response tackling both! Fully automated or manual setup – you choose which procedure you want to use! A very beefy amp – more ‘real’ power than the competition!